A band whose members’ musical CV includes names like Black Sabbath, Pantera, Ratt and Dio prepare to launch their début album next month. 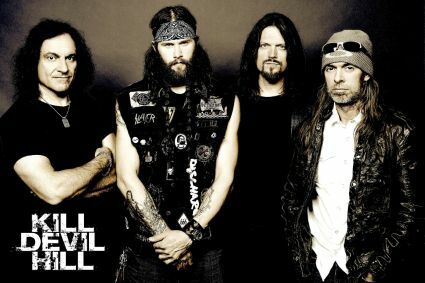 Former in 2009, Kill Devil Hill; who are guitarist Mark Savon, bassist Rex Brown, drummer Vinny Appice and singer Dewey Bragg; have worked on their eponymous LP with producer Warren Riker. It’s set for release on March 26. You can find out more about Kill Devil Hill on their website.